Please see here for my thoughts on Part One, Part Two, and Part Three. Oh, Elizabeth Gaskell! What a tale you have woven! Part exploration of labour relations in the cotton factories of industrial England, part love story, part manifesto on the rights and responsibilities of the individual in a market-driven society, part treatise on the persistence of change and the importance of adaptation, North and South is all this and so much more. It is the story of Margaret Hale, who is bit by bit deprived of all her material attachments (all the people who care about her, her home, her status) yet still she retains her values, her faith and her good nature to the end. Margaret has always used her social position and relative wealth to ease the burden of those less fortunate. In Helstone, she visited with baskets and gave of her time and energy to make life easier for the inhabitants of the parish. In Milton, she is made aware that such overtures would be negatively construed as charity, but she is still driven to provide whatever is acceptable. Her companionship to Bessy, although initally a charitable act, develops into a real friendship in which both parties benefit. In London, Edith is puzzled about Margaret's desire to ramble about in the poor district, with the implied purpose being charitable work. Although mentioned only in passing, she is obviously continuing her efforts to ease the suffering of the poor. These little actions, although seemingly insignificant grow and gain power and influence as the positive effects reverberate. Nicholas Higgins has seen how Margaret's visits to his daughter Bessy has given her peace and comfort in her last days. She comes to them as an equal, and as an equal shares her views with Higgins on the labour unrest that consumes the energies of so many Milton workers and mill-owners. Similarly, Margaret voices her opinions, mainly through leading questions to Mr. Thornton. During the riot, Margaret places herself in danger with the purpose of protecting both Mr. Thornton from the wrath of the strikers, and also the strikers themselves from their own destructive behaviour. Through these interactions the ground work has been laid for the transformational change that occurs when Higgins and Mr. Thornton come together (with Margaret as catalyst) and work toward greater harmony and understanding in their industry. Many families in Milton have been blessed by the changes that Margaret set in motion. In the concluding chapters of the novel, the small acts of questionning and the equality demonstrated first by Margaret are being discussed by Mr. Thornton and an attentive and interested member of Parliament! From the small acorn mighty oaks are born, indeed! 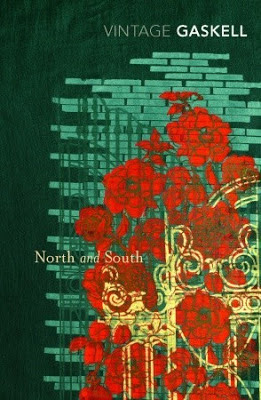 The power struggles which fill the pages of North and South create the dramatic tension. Like a tug-of-war with each side pulling to have their own way, there are many struggles both small and large at play in the novel. Some of these tensions are resolved when one side submits to the greater powers, and dies (Boucher relinquishes his will to live, as does Mrs. Hale), or moves on (Frederick gives up his efforts to clear his name), or when one side is clearly the victor (Margaret tells Aunt Shaw that she will be in charge of her own life after their return from Cromer). Sometimes the tension is eased by the combatants stepping away from the tug-of-war rope and on to common ground; Higgins and Thornton have met in the middle to the benefit of many. Finally, both Mr. Thornton and Margaret Hale are equals - bound by their feelings of subservience to the other. The scales are balanced! "Oh, Mr. Thornton, I am not good enough!" And that sounds like the perfect recipe for a long and happy marriage! Although the writing in Volume One is much more refined and subtle than in Volume Two, and the ending is somewhat rushed, this is amongst my Top Five Favourites of All Time. North and South is a masterpiece. 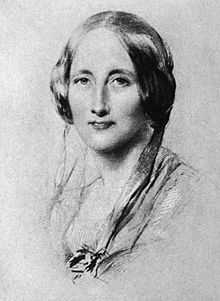 Elizabeth Gaskell has created such honest, and real characters and woven an intricate tale with layer upon layer which will no doubt delight for many, many re-readings.